Power C+ achieves a powerful antioxidant action of 35% thanks to the combination of derivatives of Vitamin C (25%) together with fruit extracts such as pomegranate and acai (10%). This has allowed us to create a perfect recipe for devitalised, photo-aged skin that needs brightening, to fight free radicals, soothe, repair and nourish skin. If before these benefits seemed too few, the new formula also helps you to unify the tone, show a firmer, younger skin, full of energy and vitality. 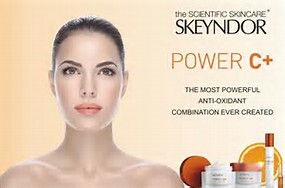 Skeyndor have produced the most advanced form of Vitamin A – Retinol treatment that is compatible with sun exposure. The power retinol treatment deeply exfoliates skin, whilst repairing and stimulating collagen. leaves the skin radiant and firm utilising Mesotherapy technology. A scientific but ultimately relaxing treatment. Instant hydration clinically tested to provide 100% hydration for 24 hours and includes facial massage and Mesotherapy. Power Hyaluronic – Balances the skins natural hydrodynamics, obtaining an optimum degree of hydration. More comfortable skin - properly hydrated with a softer appearance. Hyaluronic acid (HA) is a natural component of the body. Its main objective is based on capturing and retaining moisture in the skin. The Power Oxygen Facial is perfect for asphyxiated, stressed skins that need to detox. Also for those who live or work in polluted urban areas. The pollution and lack of oxygen are two great enemies of the skin. Allowing too much pollution to enter the skin over time leaves the skin defenceless, and it loses its natural ability to detoxify and regenerate, reduced oxygen entering the skin means that the cells cannot produce much energy to hold their vitality! One of the most harmful air pollutants for our health is PM 2.5 suspended particles, (up to 20x smaller than the size of a pore) which is caused by human activity e.g. Driving cars. Skin under the effects of pollution show signs of dehydration, lack of luminosity, premature wrinkles. No uniform to the skin, pigmentation, rough texture and flaccid skin. It can be more reactive, redness and irritation, breakouts or acne. 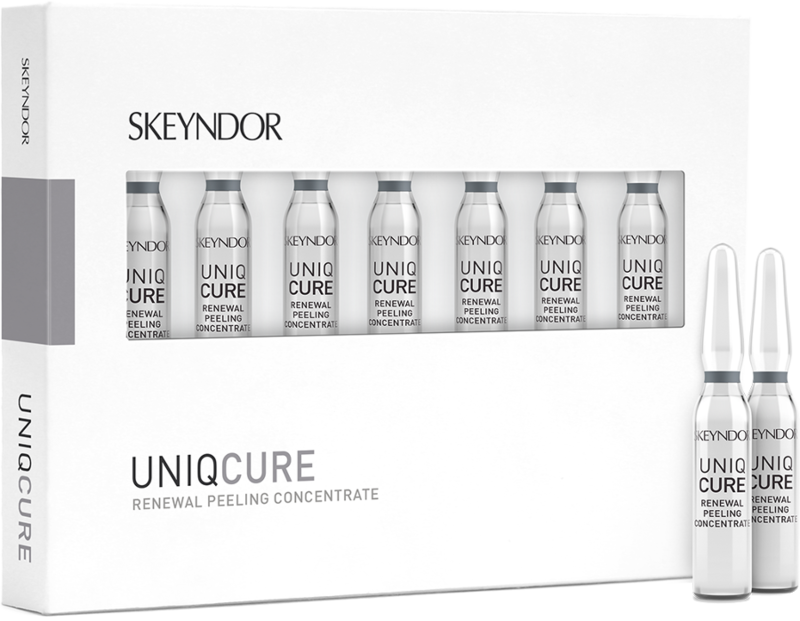 Have radiant skin in only 30 minutes with Skeyndors Uniqcure & My Mask collection. Using a cocktail of active ingredients and high-tech concentrates. Each skin is unique and has special needs! This treatment includes cleanse, exfoliation, Uniqcure ampule application followed by MY mask and a relaxing head or foot massage whilst the mask takes effect.